Scotland occupies the northern third of the island of Great Britain. The capital city, Edinburgh, attracts and fascinates expats with its nerve-racking atmosphere and scenic beauty. The capital is intimately intertwined with the natural landscape. The city is one of high culture, literature, art, science and philosophy. All this and more makes Edinburgh one of the most endlessly intriguing places in Europe and a premier destination for expats. Considered the second biggest country in the United Kingdom after England, Scotland is home to the world’s greatest malt whiskies, preserved historical sites and inventions such as the television, telephone and penicillin. Edinburgh is the capital city of Scotland, which is also known as the largest financial center in the United Kingdom, following London. Scotland’s official language is English, and its currency is the Pound Sterling. The government of Scotland is a devolved one within constitutional monarchy, with Queen Elizabeth II as its head of state. Scotland has one of the most advanced and progressive economies in Europe. The country’s diverse economic sectors range from manufacturing, services, oil and gas, to financial services, tourism, textiles, technology and more. Scotland also houses the oil capital of Europe, Aberdeen – the third largest city in the country which bears the nicknames “Granite City,” “Gray City,” and “Silver City with the Golden Sands.”Since Scotland is a well-developed and popular destination for travelers in the United Kingdom, the tourism sector of the country continues to be a thriving one and is said to account for 3% of Scotland’s economic output. In 2013, Scotland had an estimated 6.5 million tourists – a 1.6% increase from the previous year. Foreign nationals who plan to move to Scotland require a valid passport and visa issued by the Scottish Embassy in their country of origin to enter the country. However, foreigners coming from EU and EEA member nations are exempt from this rule. For EU and EEA expats wishing to take up employment in Scotland, they are allowed to stay in the country to find work, while those from non-EU and EEA member nations need to go through the “points-based immigration system” of the United Kingdom in order to work in Scotland. One of the requirements for qualification is to have a valid job offer from a UK-based employer. Scotland takes pride in its manufacturing of malt whisky, the country’s best-known product and one of its primary exports. In terms of culture, Scotland is known for its kilts, bagpipes and unicorn as its official animal. Among the most famous tourist spots in Scotland include Edinburgh Castle, Loch Ness, Holyrood Palace, Arthur’s Seat, EileanDonan, Melrose Abbey and Ben Nevis. Tourists will never get bored in Scotland, as the country offers a vast selection of interesting activities – from white water rafting, canyoning, hiking, sailing and fishing, to skiing, snowboarding during the winter season. Scotland is a country of vast mountains and forests located in the northernmost part of United Kingdom. Like many expats from different all over the world, you will find yourself drawn to Scotland by career opportunities and its simple ways of life. This nation also has the perfect balance of a lively cosmopolitan and outskirts with breathtaking scenic views. All of these terrific countryside destinations are just an hour away from the main business centre, making it easy for you unwind after a day’s work. So if you're all set in packing your bags, continue reading the next paragraphs for these will surely help you in your next journey abroad. Even before you arrive in Scotland, it's important that you do research, particularly in the housing market. You can go to online portals with real estate listings. Most of these advertisements post the price and location of the house/apartment, which will give you some idea. Once you arrive, the best and fastest way is to contact local realtors. They are more familiar with the neighbourhoods and can give you more options. Some landlords do not include the cost of utilities in your rental pay. In Scotland’s leading cities, the average monthly cost of your essential services (water, electricity, gas and garbage collection) is €180. An internet connection with unlimited data is around €30 per month, and local mobile prepaid calls are charged €0.20 per minute. 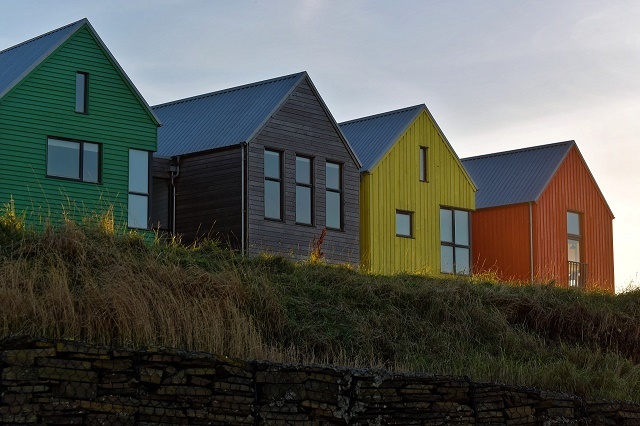 Scotland offers a broad range of selection when it comes to housing. They have condos and apartments in the metropolitan as well as villas, cottages and houses with gardens in the countryside. You also have the flexibility of choosing between a short term and long term rental agreement, depending on your planned length of stay. 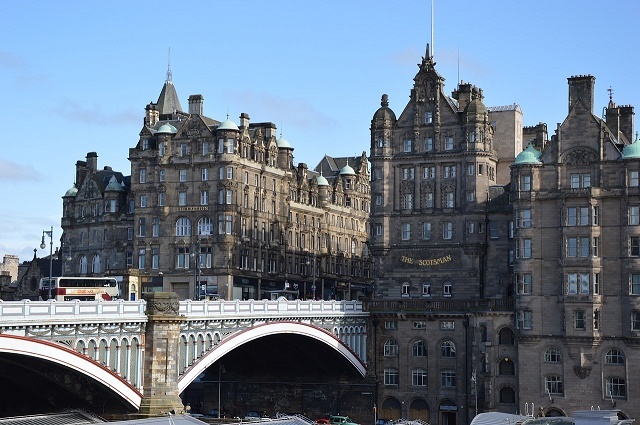 One of the most popular expat neighbourhoods is Edinburgh, the capital of Scotland. Here, the price of a one bedroom apartment starts at €820 per month and €1630 for a three bedroom unit. You can also find accommodations outside the city centre where a one bedroom flat is around €600 and a three bedroom unit is roughly €1000 per month. There are many top universities and schools in Scotland that you can choose from. Most expats enrol their children in international schools like the International School of Aberdeen which accepts students from other countries. You can also check the prominent local schools like the University of Glasgow which was founded in 1451. The prices in the market of Scotland are considered to be low compared to other countries in U.K., but if you still prefer to bring your belongings, many shipping and removal companies provide door to door service to Scotland. The price depends on the quantity and weight of your packages while the transit time depends on your country of origin. Containers going to Scotland arrive in Port Grangemouth where local customs officials will conduct an inspection of the cargos. All pets entering Scotland should have a microchip as a form of identification. If your pet is coming from an EU country, ask your veterinarian to complete the Annex IV Form for Scotland 10 days before import. However, if the pet is travelling from an EU state, make sure that its Pet Passport is updated. Though you will be moving to a different country, you can be sure that Scotland will give you a warm welcome with its vibrant communities and friendly locals. Scotland has vast magnificent landscapes to marvel at and a variety of activities for adventurers to choose from. From its tremendous contribution to literature to its exquisite cuisines, Scotland can give expats an unforgettable experience. Covering more than one-third of the United Kingdom, Scotland is a country bordered by the Northern Sea and the Atlantic Ocean with a total land area of 78,772 square kilometres. This vibrant European nation is known not just for its progressive economy but also for its dramatic landscapes, the wealth of natural resources and spectacular wildlife. Scotland also boasts a high quality of life, and in the 2016 Social Progressive Imperative report, this country was regarded as a top provider of opportunities, health and wellness, clean environment and quality education. Expatriates bound to this dream destination are up to a wonderful life while enjoying the company of more than 5.3 million down to earth and friendly Scots. Leisure activities are one of the factors that many expats, especially those with kids, look into before moving to a new country. The good thing is, Scotland is more than capable of keeping anybody from feeling homesick. Aside from the magnificently preserved castles that’ll make your precious daughter feel like a princess, another must see is the Edinburgh Zoo which offers activities such as hilltop safari rides and hands-on animal encounters. There is also the Glasgow Science Centre, a no-bore destination for science and technology loving expats. More than the irresistible beauty of nature, it is the strong desire of the Scots to enjoy the most there is in life that will lure expats to explore the great outdoors. 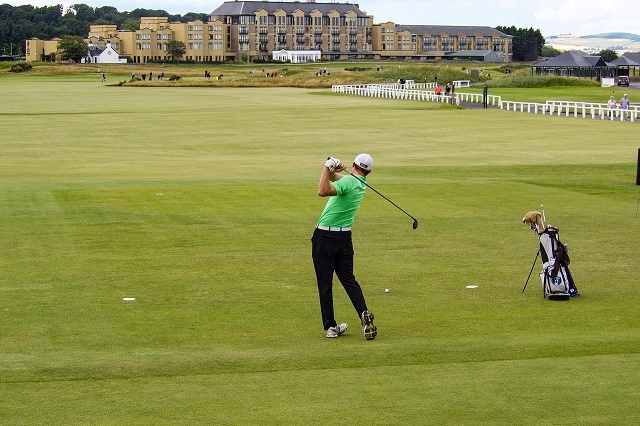 Scotland claims to be the birthplace of several sports, and some of the physical activities that have become part of their culture are football, rugby, tennis and golf. Newcomers can also enjoy canoeing and kayaking in the district of Strathyre or spend their weekend's skiing, cycling, hiking, biking, fishing or curling with the locals. Travel and commute is an easy task in Scotland thanks to the highly reliable public transportation. Even so, expats can still consider owning a vehicle especially if they want to travel in areas outside the major cities. Those who hold a valid driving license from the European Economic Area (EEA) are not required to get a local license. However, expats from countries outside the EEA can only use their national driver’s license for no more than 12 months. After one year, one must apply for a Scottish driving license at the Driver and Vehicle Licensing Agency (DVLA). Expats must watch out for moderate traffic particularly during rush hour which is usually from 7:30-9:30 am and 4-6:30 pm. Roundabouts are also common in Scotland and drivers should give way to vehicles on their right and turn left while entering the roundabout. Generally speaking, most roads and highways in this country are well maintained that’s why driving is considered hassle free. However, expats must be vigilant when driving in rural areas since it is quite common to encounter wildlife or farm animals on the road. However, expats in Scotland should still be mindful about a couple of things that can send a friendly Scot walking towards the opposite direction. First, they don’t appreciate it when someone refers to them as ‘Scotch’ or ‘Jock’. Secondly, the locals often get offended when others bluntly confuse their country as part of England. Though they are not anti-English, the Scots are extremely proud of their homeland and they want Scotland to be identified as an independent nation. As with any country abroad, respect and acceptance are important in order to ensure a smooth relationship between the expats and the local community. Despite the few things that can offend a Scot, smiling faces and huge hearts are still two of their signature characteristics that continue to lure thousands of foreigners to their country. In Scotland, expatriates can expect cultural equality and tonnes of fun-filled adventures.